Saudi Shura Council, High Commission for the development of Arriyadh, Saudi Commission for Tourism and Antiquities, University of Baha Saudi Arabia, Siemens Energy Ltd., The General Libyan Post & Telecommunications and Information Technology, Ministry of Interior of Saudi Arabia, Minerals of Saudi Arabia, King Abdulaziz University of Science and Technology, Gulf oil Company, Qatar Public Work Authority, SABIC Saudi Arabia, Saudi Arabian National Guard Modernization Program , Coca-Cola Company, Kahramaa Qatar, The Qatar Football Association, Omani Liquefied Natural Gas LNG, Qatar Telecom Inc., Ariba 94 Syria, Palestine Telecommunication Company PalTel, Mobily Company Saudi Arabia, Libyan Shell Oil, Qatar Petroleum Company, Phosphate Jordan, Telecom Amman Omantel, Al Saad Group Companies Saudi Arabia, Kuwait Oil Company KNPC, The French University in Cairo, The Ministry of Finance of Mauritania, Suez Petroleum Company, Maridive Petroleum Services Inc., Total Jamahiriya, University of Imam Muhammad bin Saud Islamic University, The Ministry of Agriculture Rural Development Projects in Egypt. 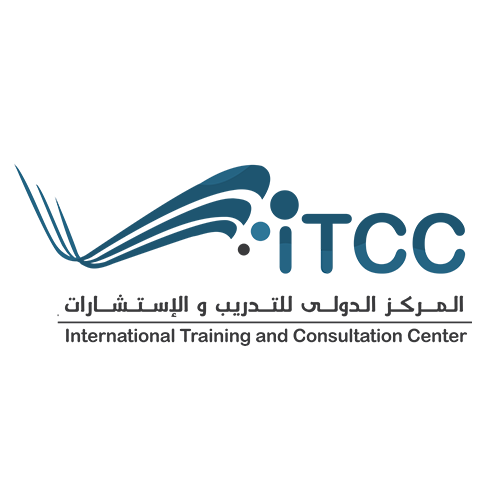 What is the International Training Centre & Consultation Way of Work? Through the support of the action plan and assistance in staff development ... And discuss various options to ensure that the appropriate training and the needed specialized one for the needs of the staff or the institutions whether Course sessions or consultations. Where that the use of courses or counseling by professionals is the answer to be appropriate on the progress and development investment, and exchange of knowledge, or even develop the capacity internally. Can of the International Training Center & Consultation can provide detailed training for entire groups of employees differ according to their specialties each discipline separately, leading to cost efficiency and growth of knowledge ... As the International Training Center & Consultation is specialist, it means that we have a network of experts in every fields and disciplines and a halt to the international standards adopted and who will be able to provide the needs of your organization, and providing solutions and consulting to a wide range of problems and issues faced by administrations in private companies or governmental ministries or industrial or commercial business.